→When Does Grass Stop Growing or Do They? When Does Grass Stop Growing or Do They? 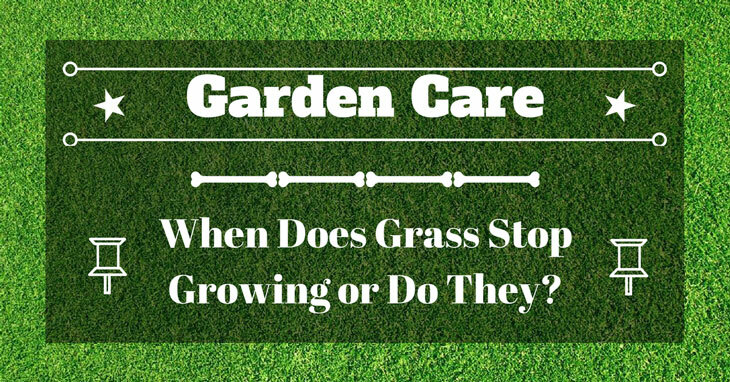 Are you curious to know when does grass stop growing? Many people believe that grass stays dormant during the cold season. But do they really stop growing? It’s important to know the answer to this question as it can impact the way you should take care of your yard. It could also help you assess when to stop mowing your lawn. How Short Should You Cut the Grass in the Fall? While most grass look similar in one glance and many people assume they are of the same type, they are not. There are different types of grass and their classification determines when they slow down their growth. Yes, they just slow down but they don’t stop growing. Cool season species such as Kentucky Bluegrass, Fescues and Ryegrasses grow throughout the winter like in a Mediterranean climate. However, during the hot season, they go into dormancy. They then continue to grow starting late October or late November. On the other hand, warm-weather grasses like the St. Augustine, Buffalo Grass, Bermuda Grass, Zoysia and Kikuyu love the warm summer heat. If you continue watering them in the summer, you can also expect them to grow nicely. Grass don’t stop growing even during winter. However, as the temperature drops, their growth also slows down. To some extent, they become dormant. As fall approaches and the temperature becomes cooler, you’ll be cutting grass or mowing the lawn less frequently than during summer. However, the cutoff point when they begin to slow down is when the temperature goes below 50°F. In many areas, dormancy sets from late September or early October until April. For an inexperienced gardener, it is easy to mistake a dead grass for a dormant grass, and the other way around. However, it is very important to be able to identify the difference so that you will know the real status of your grass. The area where you live as well as the air and soil temperature can help you determine when the grass is still alive and is just dormant or slowing down its growth. The variety of grass you have is also an important factor. The rule of thumb is if your grass loves cooler weather, it will go dormant during summer and warm season. Dormant grass shares many similar characteristics as dead grass. They typically form yellow or brown patches in your lawn. But don’t be discouraged. If you planted grass that loves the cool weather, during the hot season just continue watering the grass until the temperature improves and cools down. The grass is just dormant if you can see the grass improving in color at this time. If you planted a warm-loving grass, during winter or when the climate is cool, they also become dormant until the weather has improved. When the grass goes dormant, they don’t really stop growing. In most cases, this just means that their growth is extremely slow. Dormancy is a natural thing for many plants. It is designed to help them survive during extreme weather conditions. For instance, if you live in a region with a cooler climate, the grass adapts to the temperature in the area. And when the hot climate comes, the grass turns dormant since there is not enough water to sustain its growth. The same is true for grasses that have adapted to the warm climate. They tend to become dormant in the winter or when the weather is extremely cold. In many areas in the US, many people plant grasses that stay dormant in the winter. That is why I’ve decided to focus on this type of grasses for this part. 1. Trimming the turf before winter keeps them healthy throughout the cold months. If you fail to do this, the turf could develop a moldy fungus. Before the first frost of the season comes, schedule to mow your lawn at least two times, making sure you slowly reduce the height of the grass blades. 2. Mowing the lawn to the right size and using sharp blades can keep it looking good. 3. Fertilizing the lawn in the fall can help the grass grow beautifully. 4. Control worm casts in your garden to promote growth throughout the year. 5. Schedule at least once a month during the deepest winter to mow your lawn. This will encourage grass growth. 6. Keep off the lawn if it has been frosty to prevent breaking the tips of the grass blades. If you do step on the lawn, it may create footprints once the frost has worn off. Keep your grass at about 2 to 2 ½ inches in length come winter time. This is the safest height as it is not too high to invite snow mold. At the same time, it is also not too short to cause the grass to be stressed out by the cold climate. Remember that when you mow, do not cut too much height at one time. As a general rule, do not clip more than one-third of the total grass height in one mow. It is best to trim the grass several times to slowly condition them to a shorter height. When does grass stop growing? In reality, they don’t. That is because while dormant, they still grow but to a very slow pace. That is why grass still needs proper maintenance even when they stay dormant. 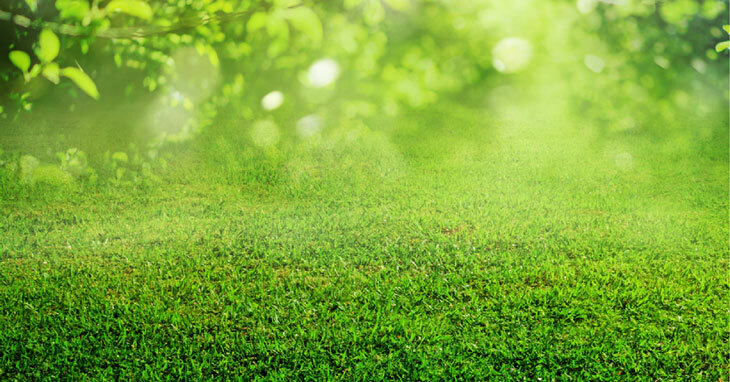 The tips we have listed above should help you properly care for your grass. Did you find this article useful? Please feel free to share with us your thoughts by leaving a comment below. Please don’t forget also to share this article.